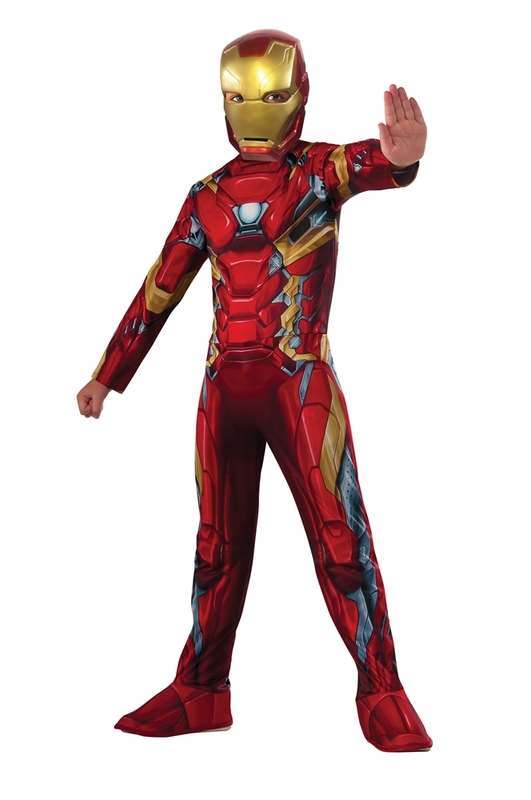 Sides have been chosen and now it's time for you to lead the team against Captain America in this Captain America: Civil War Iron Man Child Costume. The child cosplay costume includes a mask and jumpsuit. The half mask is detailed in red, gold & silver paneling. It has an elastic band with velcro patch on back to secure in place while you're flying and battling the Cap. The red jumpsuit is fully detailed on back and front. It has screen-printed red, gold & silver armor paneling and attached boot tops with an elastic band with velcro patch underneath. Bring down Captain America for the sake of the Avengers and his own good this Halloween, Comic Con, and Marvel-themed events.